From retro games consoles like the Atari Flashback to Minecraft memorabilia, our top ten gifts for gamers covers everything the gamer in your life could possibly want. 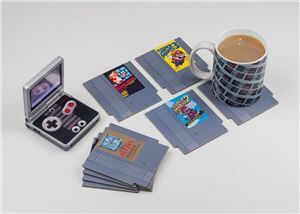 The perfect gift for gamers, as well as those that don't want to ruin their coffee table with tea mug rings, these coasters are in the shape and style of classic NES games cartridges. This pack contains eight double-sided coasters that feature some of the NES’s most iconic games including Metroid, Donkey Kong and The Legend of Zelda. If you like the idea, but don't fancy a pack of coasters — why not try the Nintendo 64 Cartridge Soaps from Firebox? Gaming nostalgia has never looked, and smelled, so good. This vegan-friendly soap has an ‘Energy Citrus’ fragrance (whatever that means) and replicates the classic N64 cartridges for the gamer in your life. 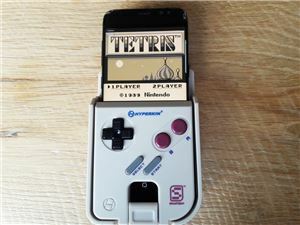 The HyperSkin SmartBoy allows you to play old Game Boy games on your smartphone (designed to work with Galaxy models) and is an instant nostalgia hit for anyone of a certain age. Sorry, iPhone users. It’s a fun little device that's worth picking up if you want to lose a few hours to childhood games. After all, Game Boys have started to make a comeback as retro tech comes back into fashion. It can be a bit fiddly, but accurately recreates the feel of a Game Boy- including the chunky, off-white plastic. 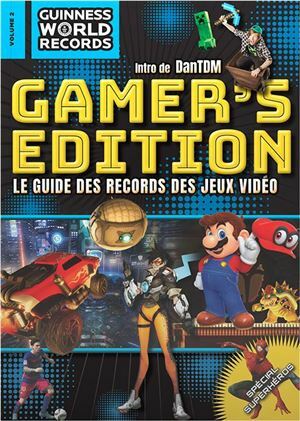 The 11th edition of the world's best-selling video games annual is packed with the latest records, stats, facts and anecdotes. Read about the records behind your favourite games including Mario, Overwatch, FIFA, WWE and Rocket League, plus recap on a year of crazy Pokemon GO stories. Read about the fastest video game completions, see the world's largest Zelda and Tomb Raider collections and meet gaming heroes like the world's oldest games YouTuber at 81, a man with a real-life cyborg arm that was inspired by Deus Ex, and the kingpin of eSports fighting games. This edition also features a special chapter about superhero games. A good pair of gaming headphones (with mic if you like to play online) should be top of every gamer's wish list. 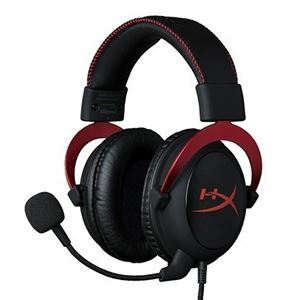 The HyperX Cloud II is an affordable, high-quality headset that works with all the major gaming platforms, as well as offering decent sound quality for a range of other mediums — like listening to music, podcasts and TV (if you're so inclined to use them for that). The Cloud II offers big 53mm drivers and a detachable microphone, with the comfortable ear cushions meaning the headset feels comfortable even after wearing them for hours. Although you don't get wireless connectivity or active noise cancellation, the sound quality is excellent — and they only cost £75 (but they're often discounted). It's easily one of the best gaming headsets for under £100. Loot Crate is a subscription service that offers gaming-related merch with big names like Nintendo, Disney, and Marvel. Every month, as part of your subscription, you receive clothes, toys, merch and other collectables that fit the theme of that month. 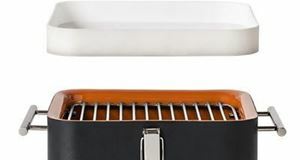 These items are often exclusive, and the items in the box would cost more individually than the subscription fee — £25 per month for a yearly subscription. This month, the Loot Gaming Crate theme features God of War, The Elder Scrolls, Kingdom Hearts, and Assassin’s Creed — and you can skip any months if you don't like the games involved. 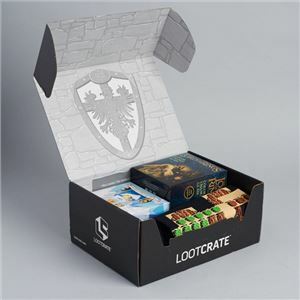 Other Loot Crate games crates include an Elder Scrolls crate, Halo Legendary crate and Fallout crate. Non-gaming crates include Marvel, Star Trek, Lord of the Rings, Anime, Fright (a mix of horror collectables) and more. 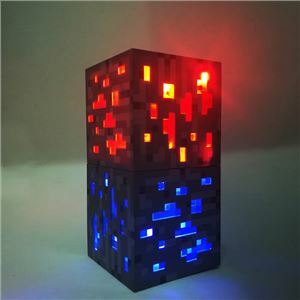 For any kids who dream of living in their own Minecraft world, we think this Minecraft Redstone Ore nightlight will be the perfect present this Christmas. Just tap the palm-sized light to adjust the brightness settings to low, medium and high. You can also buy the blue Diamond Ore nightlight, which you can stack on top to craft a real-life Minecraft creation. For the full £30 retail price, it's quite expensive for a nightlight — but luckily its often discounted significantly on Amazon so you can pick it up for a lot less. It's been a big year for retro consoles, or so it would seem. 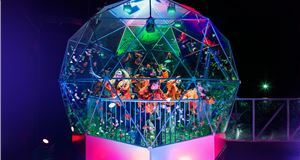 With the likes of the PlayStation Classic, Atari Flashback and Nintendo Switch (which has brought back the old favourites like Super Smash Bros and Namco Museum to homes everywhere) - it's a crowded market out there. But the SNES mini console is our pick of the lot, and it comes with two wired Super NES Classic controllers. 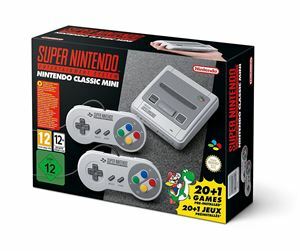 Launched in Europe in 1992, the Super Nintendo introduced some of the greatest video games of all time, and this mini console comes pre-loaded with 21 of them - including Super Mario World, The Legend of Zelda: A Link to the Past, Super Mario Kart, Super Metroid and F-ZERO. 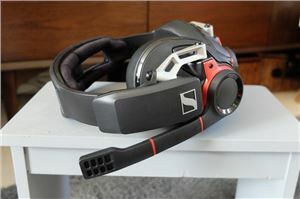 Priced at £220, these are at the top of the Sennheiser range and aimed at serious gamers. They work on multiple platforms — including PS4, Xbox One and PC. The GSP 600 feature ergonomically designed ear pads, a metal hinge system and an adjustable headband, all designed to improve comfort. There's also a noise-cancelling broadcast quality microphone that minimises background noise. The quality of the sound with the GSP 600 is simply superb, nothing we've tried comes anywhere close to matching it. The clarity and depth mean you hear everything and it will change the way you enjoy games. 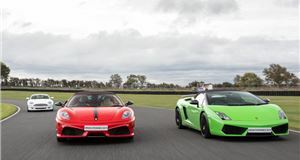 Play something like GTA V and amid all the explosions, you can still hear the whine of your turbo as you accelerate away with bullets zipping past you. Calling all Zelda fans... 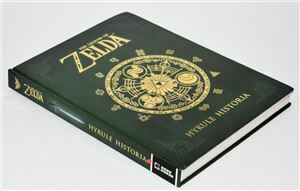 The Legend of Zelda: Hyrule Historia contains a collection of historical information on The Legend of Zelda franchise —including the full history of Hyrule, the official chronology of the games, photos, original character development sketches, scenery planning and more. The high-quality book also includes an exclusive comic by the foremost creator of The Legend of Zelda manga - Akira Himekawa. It makes for an excellent read and offers a new perspective on the games, making it the ideal gift for any Zelda fan (especially if they like Skyward Sword). 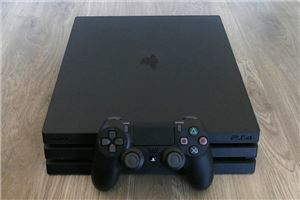 Sony's PS4 Pro adds 4K resolution and High Dynamic Range (HDR) graphics to the 2013 PS4’s spec sheet, as well as an upgraded processor, better compatibility with Sony’s Virtual Reality headset (PSVR), and a design update. To take advantage of most of the upgrades you’ll need a compatible 4K television and, if you’re keen on being part of the vanguard of gaming, a PSVR headset. Certain developers have also developed 'enhanced' versions of older games, with either framerate or graphical improvements, which will be updated automatically as a free patch if you already own the game. However, as time goes on more games are being developed specifically for the Pro, with big budget blockbuster titles like God of War and Horizon: Zero Dawn running in maximum resolution with HDR.